Thank you for following my stories over the past couple of years – it’s been a hoot! And this is not really a farewell – rather an ‘au revoir’ – meaning ‘until later’. You see, last week I attended two book launches and was very proud to see these extremely talented women, who I am privileged to call friends, stand up and make speeches about their books. And yes, you should buy and read both. 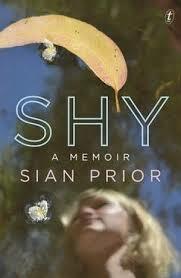 The first I went to was for Clare Strachan, launching her book for young adults – CRACKED – and the second was for my step-sister Sian Prior, for her book – SHY – a memoir. They are very different books, but both beautifully written and engaging. I am not going to attempt to give you a book review as much has already been written in the media that does the books better justice than I could. But at these book launches, it hit me like a tonne of bricks…. 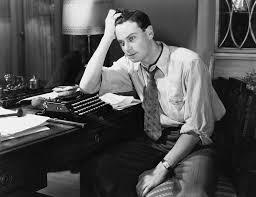 If I didn’t slow down and pay more attention to my OWN novel, it will never see the light of day. And so that is what I am going to do. You see, now that I’m working at smoothfm, on the Mike Perso More Music Breakfast Show, the time I spend on creative writing has become even more limited. And precious. Hence something has to give. And it turns out the Blog is that thing. So until I can’t help myself and HAVE to write to you about something, I am signing off until this book is finished. THEN I will really have something to write about! This entry was posted in Opinion and tagged Au revoir, Breakfast radio, Cracked by Clare Strachan, Mike Perso, Shy by Sian Prior, smooth fm breakfast show, smoothfm, writing by JenniferHansen. Bookmark the permalink. Good luck with your book Jennifer. My husband is a writer, so I understand the need to spend time working on your book. It really is work, and you need to be able to put all your time to it. I’m glad you aren’t saying goodbye, just au revoir. I look forward to the time when you can blog again. I know this decision has been a difficult one but (as your editor! :-)) I’m really happy that we’re going to develop your beautiful novel manuscript. Thanks Ann. Fingers crossed I will have the novel finished in record time and will be blogging about my OWN book launch before too long! Put me on the pre-order list thanks.